Planning to remove an enormous tree from your backyard? We are here to help you. Morris Tree Service offers a wide range of services, including shrub and hedge care, sod replacement, tree trimming, firewood delivery, and much more at competitive rates. We have the required skills and experience to get your job done right the first time. Our service area includes Pinellas, Pasco, and Hernando counties. 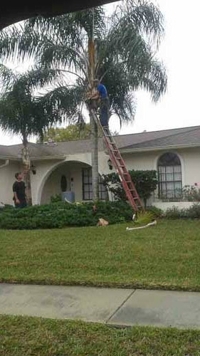 You can rely on our professionals for all your tree care needs. If you have any questions regarding our services, call us at (727) 478-1574. We would be happy to assist you. Call Us Today to Clean Your Property! Copyright © 2018 morristreesfl.net All rights reserved.